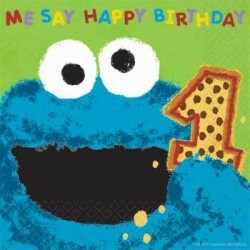 Sesame Street 1st Birthday Party SuppliesThere are 19 products. 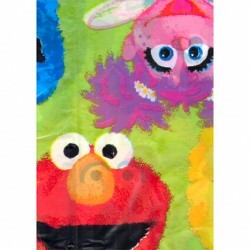 Includes: 2 Pieces 59" x 32 1/2" combine to 59" x 65" 1 Banner 44 1/2" x 16" 2 Cutouts 16" x 10 1/4"
Send your kid's party guests home with a smile and our Sesame Street 1st Birthday Loot Bags. 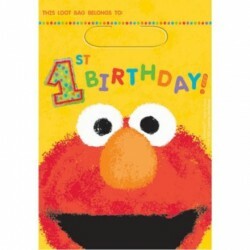 These Elmo favor bags feature a "1st birthday" message and Elmo's smiling face. 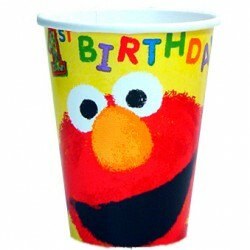 Fill them with Sesame Street favors for a great parting gift. 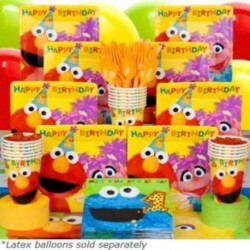 36/Pkg -Measures 13x13 inches (unfolded). 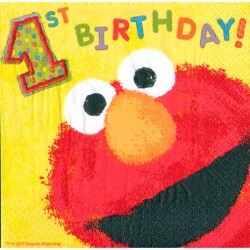 Let Abby Cadabby and Elmo share some yummy birthday cake with your child. 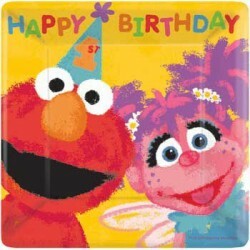 These Sesame Street 1st Birthday Cake Plates show of both of these Muppets smiling happily back at your guests. 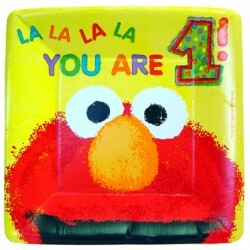 Elmo wears a party hat below a "Happy Birthday" message on each 7x7" square plate. 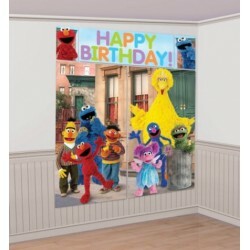 Measures 54x102 inches. 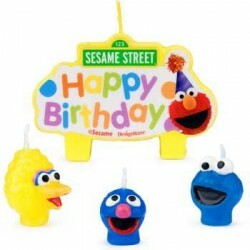 Made of quality plastic. 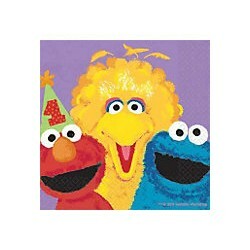 Sesame Street characters like Big Bird teach children about numbers, shapes, and the alphabet. 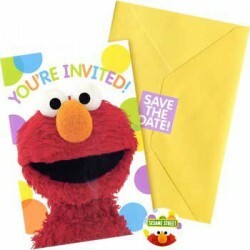 Include these influential characters at your party with products like our Sesame Street 1st Beverage Napkins.